Hirshhorn sculpture garden will be dedicated entirely to works by Lee Ufan.Lee Ufan, “Relatum—Stage,” 2018. Serpentine Galleries, Kensington Gardens, UK (Lee Ufan/Mike Din). Washington D.C’s Hirshhorn Museum has announced a site-specific commission for the Korean artist Lee Ufan that will debut in fall 2019. Approximately ten new sculptures related to the artist’s “Relatum” series will be installed across the museum’s 4.3-acre sculpture garden. An exhibit of Lee’s abstract painting within the museum will accompany the outdoor installation. This is the first time in the institution’s half-century history that its sculpture garden will be dedicated entirely to a single artist. 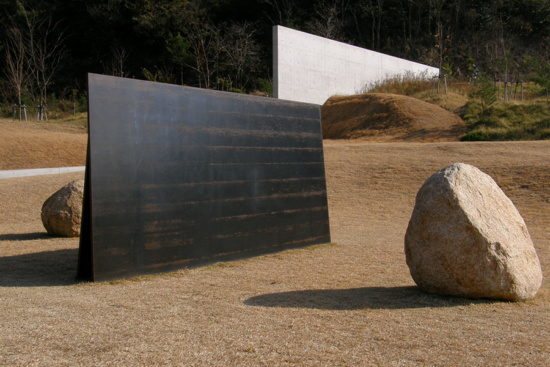 A founder of Japan’s Mono-ha, or “School of Things” movement, Lee’s work emphasizes the relationship between site, materials and the viewer. This holistic treatment of artistic elements appeals to a contemplative and dynamic engagement with the work rather than static perception. The poignancy of Lee’s work derives from the thoughtful assembly of contrasting materials, which are subject to minimal alteration. Lee, who lives in Kamakura, Japan and Paris, will spend the next year conducting site visits to the Hirshhorn Museum. Additionally, Lee will visit individual quarries across the East Coast to source local materials to construct his work. Each sculpture constructed for the installation will relate to the museum’s unique circular form, allowing visitors multiple vantage points from above to view Lee’s work in the plaza below. 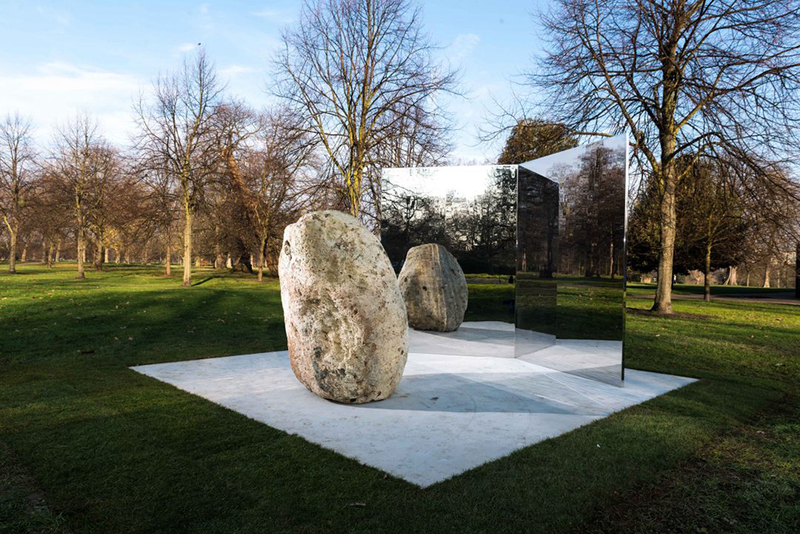 While the installation will be Lee Ufan’s first exhibition on the National Mall, the artist has conducted over 140 one-artist exhibits across the globe. These stand-alone works include ‘Resonance’ at the 2007 Venice Biennale, a major retrospective at the Guggenheim Museum in 2011, and a sprawling display of sculptural works on the grounds of the Palace of Versailles. Guggenheim Hirshhorn Museum Japan National Mall Paris Washington, D.C.